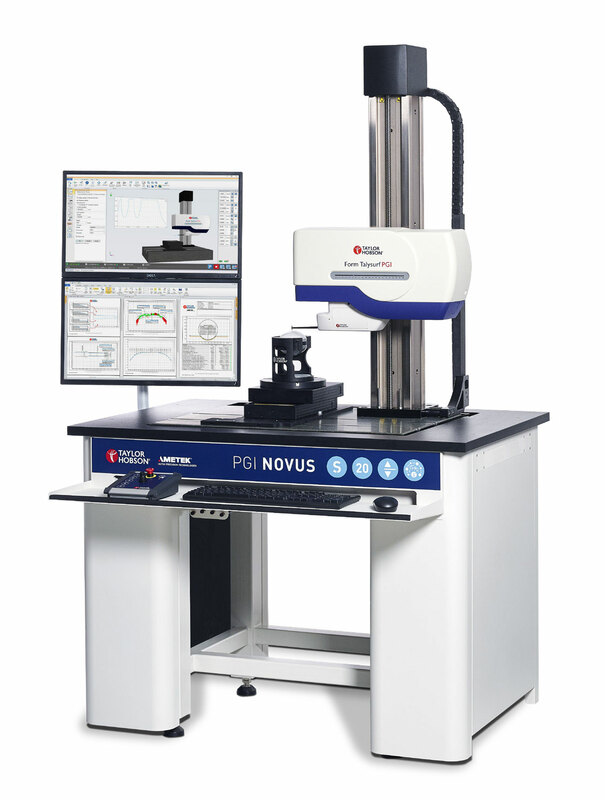 LEICESTER, UK - Taylor Hobson has launched its new Form Talysurf® PGI NOVUS, powered by Metrology 4.0 software. It is the most-advanced system available for surface, contour, 3D and diameter measurement. Metrology 4.0 software is a new software package that offers an intuitive interface with a virtual display and real-time control. It provides at-a-glance monitoring of the measurement process. Real-time simulation and true part coordinates enable monitoring and control to a level previously unprecedented in the industry. as recordable part programming, along with an advanced toolbox of programmable features including variables. That function allows one program to be created for a set of parts of differing sizes, minimizing the level of effort and training required for operators, while maintaining the highest measurement precision,” Greg explains. In addition, Taylor Hobson offers unique options to support high-accuracy measurements in all environments from the laboratory to the shop floor. There are three instrument options plus add-ons to meet all application requirements. Ball screw axial measurement - both sides for pitch circle diameters. Bearings - spherical, roller and four-point contact. Fuel injectors - straightness and seat angle. Multipart measurement - using a single program. Taylor Hobson is a leader in ultraprecision measurement instruments for a wide range of markets, including optics, semiconductors, manufacturing and nanotechnology. It is a unit of AMETEK Ultra Precision Technologies, a division of AMETEK, Inc., a leading global manufacturer of electronic instruments and electromechanical devices with annual sales of $4.3 billion.